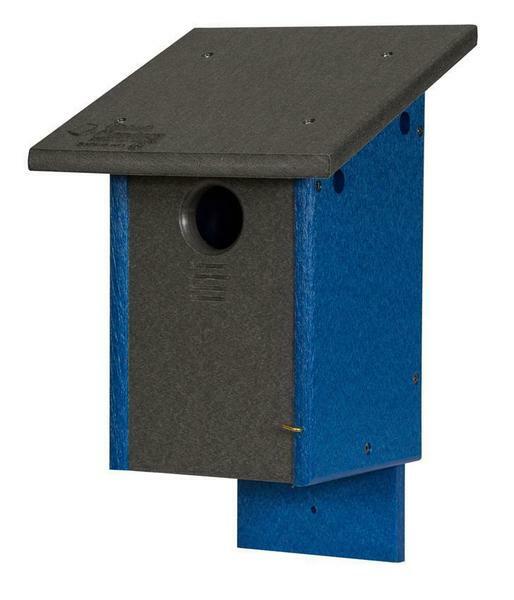 The Amish Poly Classic Blue Bird House provides a slot entrance and a shallow enclosure that bluebirds prefer. Enjoy your time outside as birds are drawn to this birdhouse to play and sing. Attractive and durable, this post mount birdhouse is made of Poly Lumber that will not fade or crack over time and resists mold and mildew as well. Birdhouse boxes and feeders help to boost the bird population by giving them a place to feed and nest. Consider our Trio Bird House for another stylish option.